The qualitative improvement of the industry is indispensable for attracting solvent tourists mostly from the Western countries. Currently, the neighboring countries such as Armenia, Azerbaijan and Turkey constitute the biggest share of the tourist market – about 72.1% in 2015. A slight decline in a number of Turkish visitors has been caught up with extensively expanding second markets like India and Iran. Nevertheless, the purchasing power of this population cannot be equaled with a budget of an average Western homologue. The question how to attract this category of tourists is still being deliberated, some important initiatives have been already undertaken to promote a luring image of Georgia, particularly, by the means of Check in Georgia program. Check in Georgia program is managed by the Ministry of Culture while Georgian National Tourism Administration is in charge of the promotion of this program abroad. Mr. George Chogovadze, Head of the Georgian National Tourism Administration, mentions 4 million views of the internet pages publicizing the program targeting the foreign public. The upscale events attract numerous young tourists, mainly, from the neighboring countries. The program contributes to prolonging duration of the visitors’ stay in Georgia as, currently, a number of visits surpassing 24 hours amounts only to 39%. Due to this program, inner tourism will also be developing since it encourages the Georgian population to travel and discover other regions of the country. Some representatives of the hospitality sector share that it would be very beneficial for the national economy if these events are organized throughout off-season and in various regions to assist, in this way, in their development as tourist destinations. These events should by all means be announced well in advance so the visitors from abroad and within the country have enough time to make necessary planning and travel arrangements. The growing number of tourists also implies that the quantity of beds offered by the hospitality sector should be extended. Tbilisi and Ajara regions have the biggest bed capacity but, as far as other regions are concerned, these figures are quite low showing the predominance of small boutique hotels. Even if there are ongoing big hotel construction project as it is in the case of the Millenium, Hilton Garden Inn, Intercontinental and Marriott hotels, the room supply will not be sufficient because the tourist growth rate is anticipated to be maintained for the forthcoming years. Mr. Tornike Guruli, Professor at Ilia State University, admits that along with the construction of internationally branded hotels it is important to develop the middle class hotel segment poorly represented in today’s Georgia. Furthermore, hotel construction market should cover other regions in Georgia since the country has all the predispositions to promote different types of tourism due to the regional diversity: wine region in Kakheti, ski resorts in Bakuriani, Gudauri and Goderdzi, spa resorts in Tskaltubo, Akhtala and Abastumani, to name a few. Owing to this versatility, Georgia has a full potential to become a four season tourism destination. Racha region is one of the key places where the development of 4 season tourism can turn out to be favorable and advantageous. Therapeutic water qualities to be found in Racha region are particular and help treat even such diseases as diabetes. Spa and balneal resorts can become a driving force for attracting solvent tourists and development of wellness tourism in Georgia. The assumption can be supported with the fact that some foreign companies have already expressed interest in investing in this region – the Spanish Relais of Termal Group, just to name one. The village Utsera in Racha has made a spectacular impression on the company representatives who later pledged to build a balneological-rehabilitation centre there. The Spanish company also showed interest in Imereti region, namely Tskaltubo, famous for its radon-carbonate mineral springs. Less quoted in media, Abastumani resort offers interesting opportunities for investments because its potential as climatic spa resort has not yet been unveiled. The Tskaltubo spa and balneal resort already has a working set of sanatoriums and welcomes tourists on an annual basis but, mostly, these resorts are still in need of tourist infrastructure improvement and branding. To upgrade the existing infrastructure, the government has launched the initiative enabling private sector to purchase sanatoriums that are currently fully owned by the state. With regard to branding, these resorts can count on their uniqueness because there are no equivalent options in the Caucasus region. Good dynamism is also to be observed at ski resorts partially due to effective cooperation between foreign and private companies, as well as national administration. For example, a Canadian mountain development firm, Ecodesign together with EY will help the government to implement the New Gudauri project. This expertise exchange can be also exemplified by the cooperation with the French experts in creation of professional Mountain Guides College that will be opened soon. In addition, there are considerable needs for investment for further improvement and extension of existing infrastructure. 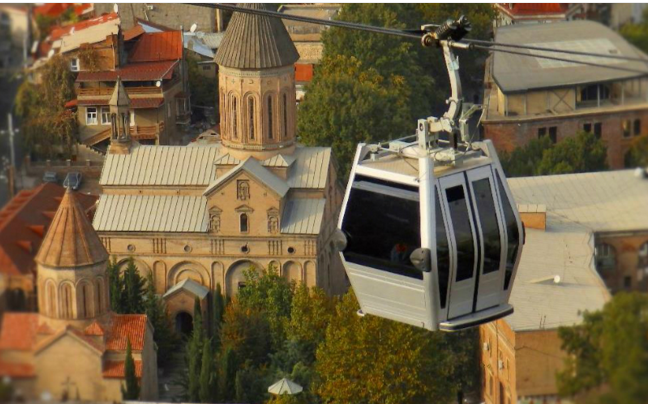 The Georgian National Investment Agency mentions ski lift construction and hospitality development opportunities in Goderzi. Taking into consideration an intensive flow of tourists especially during the months of July and August, it is essential to develop adjacent places of Batumi that obviously has its definite reception capacity. To address this as well as seasonality issues, the Government of Georgia has put forward the Gonio Development Concept, a plan with ready renders, and is currently in search of solid investors. The Gonio Resort will be a brand new Ajara destination. It will serve to locals and international visitors for the whole year round activities. The 315 ha resort on the Black Sea Coast will be an international standards fusion of living, recreational and holiday destination. The Gonio resort will be built from the scratch taking into account the whole potential of the territory, planned out efficiently with the help of Colliers International in London. The Project requires a USD 112 million investment during the first three years of construction. Afterwards, the development finances itself. To name a few key financial figures of the Gonio Resort development plan, the internal rate of return IRR without taking credit would be 21.79% and the net present value NPV with a 15% discount rate would equal to USD 45.5 million. The estimated total revenue of the resort in Phase III is USD 962 million. Georgia should think in a long term perspective and opt for a sustainable tourism. With a population of almost 4 million people, Georgia welcomes annually more than 6 million tourists. This intensity leads to think about creation of necessary conditions for assuring sustainable environment in Georgia. Promotion of sustainable tourism within the country implies development of eco-tourism and culture tourism. In Georgia there are all the pre-requirements as the country has more than 12 000 historical and cultural monuments, 8 national parks and 84 different categories of protected areas. Sustainable tourism still represents an innovative conception in Georgia. Hiking should further be developed in the framework of the great Trans-Caucasian Trail project, having aim to create two routes connecting two mountain chains in the north and south as well as the Black and Caspian seas. Finally, it is worth mentioning that tourism is adjacent to development of other sectors. Despite existence of pre-packaged projects with ready utilities, many undergoing tourist development projects will be in need of additional facilities such as sewage, construction of the roads or arrangement of streets. Transport infrastructure, connectivity are still in need of enhancement. With the increasing number of direct flights to different destinations, particularly, to the western countries, there is a higher perspective for a further growth of international arrivals. Awkward timing of flights is another issue to be reconsidered. Georgia should keep on improving existing tourist infrastructure, developing new types of resorts in various regions across the country, as well as conceiving and adopting new approaches for promoting sustainable tourism. Growing number of international arrivals should be accompanied by improvement of service and facilities and keep being pleasing to the eye of Georgia’s citizens and visitors in its four season beauty.